Would you like to receive the latest updates? Let us know. This project demonstrates a groundbreaking technological solution that enables several high temperature manufacturing industries that fall under the Emission Trading Scheme to cut down GHG emissions significantly and additionally improve air quality. As industrial pollution is of major concern to the European Union, the scope of such project might be eligible for several EU funding programs. Hence, the project partners carefully considered eligibility under several other European funding programs such as Horizon 2020 and the European Regional Development Fund as well. However, demonstrating OPTIMELTTM technology is deemed to have the best fit with LIFE as its scope directly relates to the priority area of climate mitigation and moreover, contributes to the 2015 EU policy priority for Energy Intensive Industries. 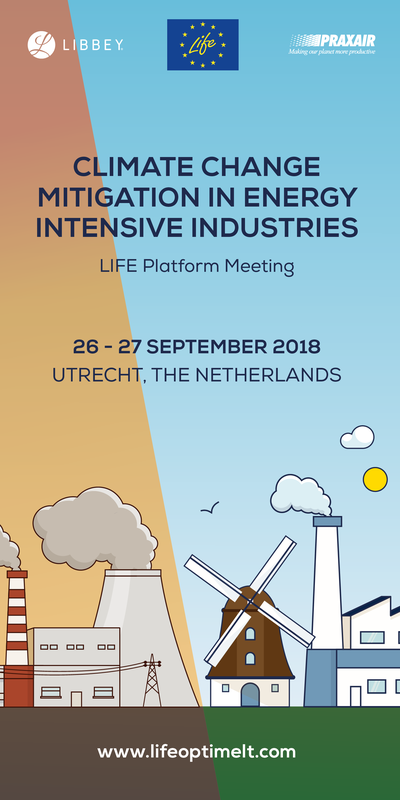 26-27 September 2018 in Utrecht, Netherlands. Click to read “Advanced Heat Recovery for oxy-fuel fired glass furnaces”. Click to read Optimelt article published. Click to read “Dutch glass industry continues to innovate”. British Glass prepared a Knowledge Transfer Seminar November 2016 discussing Waste Heat Recovery. The EU goal of cutting GHG emissions to 20% below 1990 levels is implemented through directives such as the Energy Efficiency Directive (2012/27/EU) and IPPC Directive, which set obligations of energy efficiency on industrial installations. 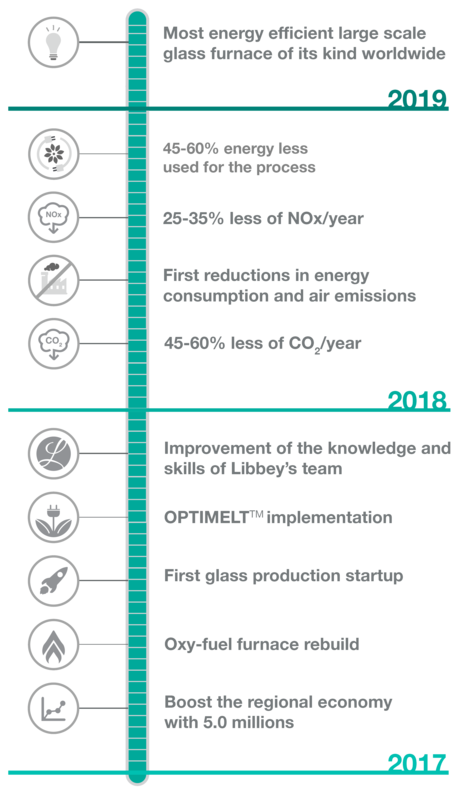 OPTIMELTTM technology contributes to these GHG reduction objectives and directives by enabling energy efficient high temperature manufacturing and thus helps to realise a shift towards a resource-efficient low-carbon economy. The above figures indicate that this project contributes to the EU climate objective of cutting GHG emissions from sectors covered by the EU Emissions Trading Scheme (Council Directive 2003/87/EC) by 21% in 2020 and 43% in 2030, as compared to 2005 levels. Moreover, pursuant to Directive 2003/87/EC the commission determined a list of sectors which are exposed to significant risk of carbon leakage (2014/746/EU). The glass and aluminium industry are listed, meaning that breakthrough solutions such as OPTIMELTTM are needed to lower the risk of carbon leakage. Reduction of GHG and NOx emissions will have a positive effect on the air quality in both the city of Leerdam and the close by Natura 2000 (Zuider Lingedijk, site code NL3004007) in-between which the manufacturing plant is located. The environmental impact of this project on the area was investigated, indicating a non-negative effect on the Natura 2000 zone. Project investments will directly boost the regional economy for several years during the project execution. The implementation of this project will broaden and deepen the knowledge and skills of the employees by means of training, thereby optimizing their chances of securing long term employment. The current specifications and energy consumption of the plant conform to the different permits and regulations in the Netherlands and Europe. However, faced with the coming challenges related to energy and climate change, in addition to staying competitive in a tough industry, Libbey continuously needs to improve their process to lower production costs. OPTIMELTTM technology will provide them with an innovative process to manufacture glass using less energy, emitting less CO2 and NOx, lower operational costs and helping to address the challenges Europe is facing. The OPTIMELTTM project will lead to the following reduction in energy consumption and air emissions at Libbey Leerdam (considering the implementation of oxy-fuel+OPTIMELTTM technology). 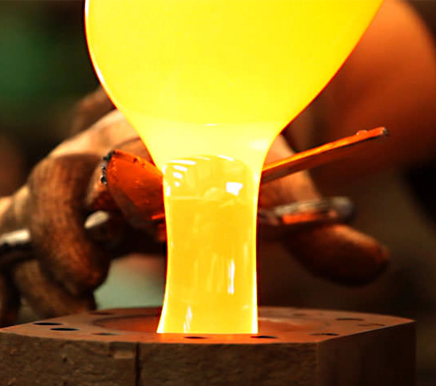 Less energy used for the process, keeping the same quality for the final products. Reduction of CO2 emission per year, participating to the EU priorities. Reduction of NOx emission per year, improving the air quality of the area including a Natura 2000 zone. © 2017 - Praxair Technology, Inc. All rights reserved.